The Ted Barker Solar Observatory houses an 8-inch telescope with H-Alpha, Mylar, and Thousand Oaks filters for solar viewing. The different filters help bring the Sun's dynamic features to the forefront, including sun spots, solar flares, and convection cells. This is a go-to telescope with a built-in catalog of astronomical objects, so it can be used for night-time astronomical viewing in addition to it's primary use as a solar telescope. Ted Barker was a member of UACNJ for 14 years, serving as vice president in 2002-2003 and president in 2004-2005. 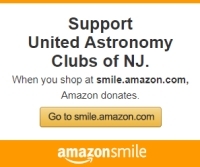 He served on and chaired many committees during his years with UACNJ and helped with all aspects of the construction of the five observatories at Jenny Jump. To honor Ted, who lost his battle with cancer in April 2008, the Board of Directors voted to name the new solar observatory after him. 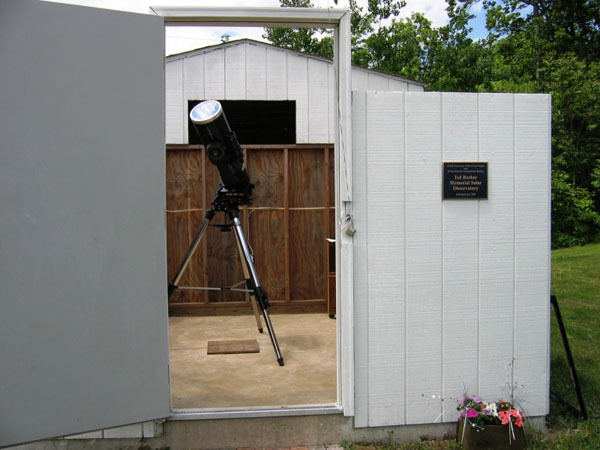 The Ted Barker Solar Observatory was opened for use during the 2009 public season. A dedication ceremony was held for Ted's friends and family in May of 2009.